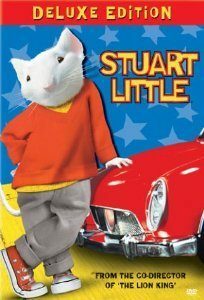 Stuart Little (Deluxe Edition) DVD 74% OFF - Just $3.96! You are here: Home / Great Deals / Amazon Deals / Stuart Little (Deluxe Edition) DVD 74% OFF – Just $3.96! Stuart Little (Deluxe Edition) DVD 74% OFF – Just $3.96! Looking for a great family movie to add to your collection or a small item to add to an Easter basket? Get Stuart Little (Deluxe Edition) on DVD for just $3.96 on Amazon (reg. $14.99)! Plus, Super Saver Shipping will be FREE with an order of $35 or more or get FREE 2-day shipping with Amazon Prime.